plant watching – coming soon! 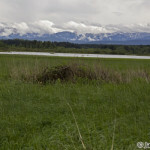 Last week we set off to Orava, region in the northern Slovakia at the border with Poland, to a 3-day birding trip. Every time we go on a birding trip, in the beginning each participant makes an estimate of how many bird species are we going to see during our trip. This time the numbers were very close to each other: 100, 101 and 102 bird species. 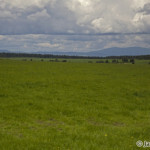 When we reached Orava, we have made a stop in a saddle near Terchová village. 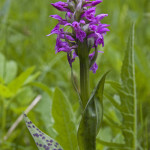 There we have heard Corncrake and Tree Pipit and discovered a wet meadow with dozens of beautiful purple orchids in bloom. After lunch we have met our local guide and went to explore the bird species of Orava. Our first day was very successful. 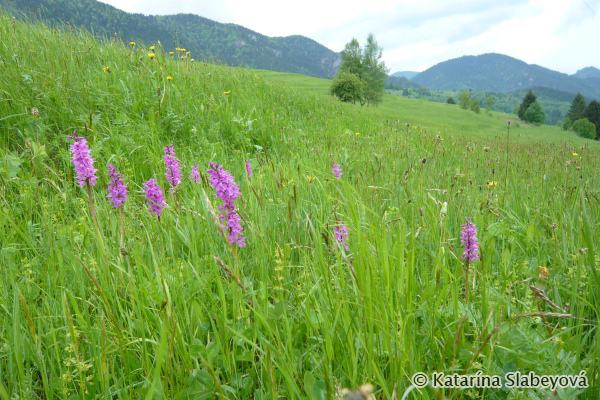 We have visited forests, wet meadows , pastures for cattle, abandoned middens, alder forest of water reservoir Orava, peatbog areas, we have also crossed the border and been to Poland for a while. 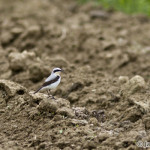 At these sites we have seen among others: Citrine Wagtails, White-tailed Eagle, Lesser Spotted Eagles, Black Stork, Common Rosefinch and River Warbler. 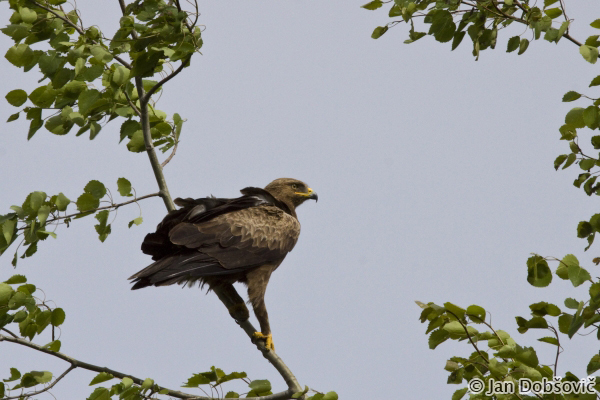 The best experience was indeed a Lesser Spotted Eagle sitting in a tree top right at the site of the road which apparently does not care that we stop our car next to him, looked at him and took pictures. We have seen also some non-bird species among which the best was a female Red Deer standing only several meters away from Roe Dear on the rim of one wet meadow, where we went to observe birds. In the end of the day we went up to the hills near the huge water reservoir Orava to look for Pygmy Owl. We weren´t successful, as we supposed, for the rather late term of our trip for the smallest of our owls. Nevertheless we could enjoy a beautiful view on all the area of the reservoir and the places we have visited that day. During our first day, we have observed 87 species of birds. 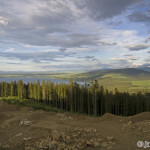 Early in the morning (before breakfast) of the second day we went to the Kubínska hoľa peak to do some birding. We have seen Nutcracker, Firecrest and Goldcrest, Black Woodpecker and some other forest species. Than we moved to the site with the presence of Tengmalm´s Owl. We crawl up to the forest slope where foresters were cutting down trees and transporting them also with the help of heavy horse. We approach the cavity made by Black Woodpecker now occupied with Tengmalm´s Owl. We adjusted our binoculars and cameras and quietly waited till our guide approached the tree with a cavity and scratched at the bark. In a few seconds the Tengmalm´s Owl jumped to the opening and checked the tree trunk if there is not a marten coming up the tree. For a while she looked at us and then returned back to the cavity. It was a very strong experience for us all. We went to search for a Long-legged Buzzard which is known for roaming in that area. We haven´t seen him, but we registered Montagu´s Harrier and Marsh Harrier. On our way to lunch we had a perfect sighting of a male Northern Wheatear investigating a field only a few meters from the road on which we pass. He did not even bother when we stopped to admire him. 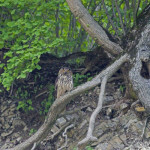 After the lunch we went to one quarry with a nest of an Eagle Owl. Now the young birds are old enough to be left in the nest alone and the parents are sitting high in the trees patrolling for intruders. One of them saw us and did a perfect aerial maneuver which with the size of the owl would scare off anyone. We did not move or approach the nest (what was not our intension) and admired him (or her) for a short while. 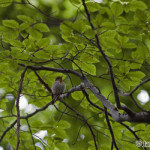 It sat on a branch and looked at us, than got invisible again among the tree branches and we quickly went away. 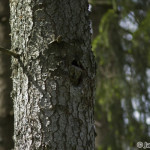 In a coniferous forest during our later search for a Three-toed Woodpecker we have seen a Common Treecreeper. The forest was full of loudly calling Song Thrushes. 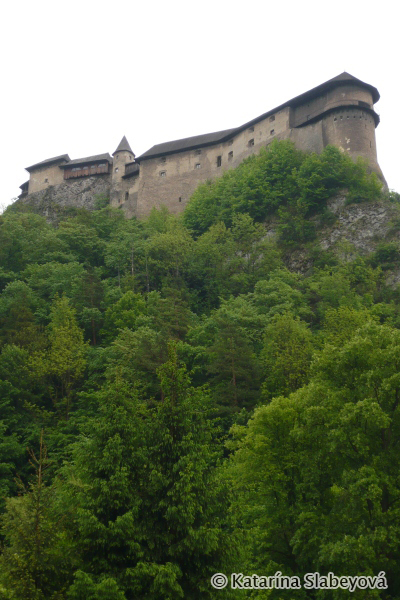 Later that day we went to the forests near Oravský Podzámok village with the majestic Oravský hrad castle to look for White-backed Woodpecker, Red-breasted Flycatcher and Collared Flycatcher. We played a record of calls of all three species and waited. We weren´t successful with White-backed Woodpecker (although we were in the territory of two pairs), but both flycatchers appeared quite quickly and jumped in the branches above our heads. 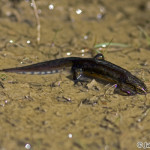 When we counted recorded species at the dinner, we have come to the number 100. That was the time when our guide – who has made an estimate of 100 species seen during the whole trip – stated that we are no more looking for new species. During our second day, we have observed 68 species of birds. Before breakfast of the third day we went to the Kubínska hoľa peak again. Among other species we have seen Ring Ouzel and Mistle Thrush there and traces of Wolf. Today we focused on looking for woodpeckers. 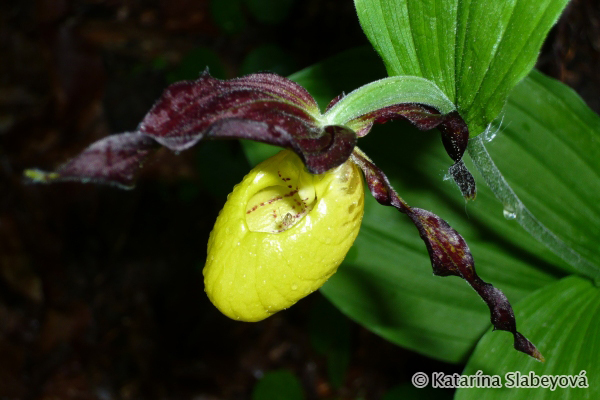 On our route to the forest, we made a stop to look for Lady´s Slipper Orchid (Cypripedium calceolus) which we found after a short while not far from the main road. 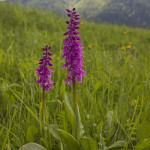 These beautiful orchids have the biggest flowers of all Orchids living in Slovakia. Our later search for White-backed Woodpecker was not successful again. 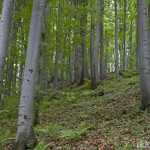 Than we went to look for Grey-headed Woodpecker in the floodplain forests of the Orava River. We haven´t seen it, but we added five new species to our list: Common Sandpiper, Kingfisher, Sparrowhawk, Hobby and a Tree Sparrow. The last place we visited in Orava was a rescue center for wild animals in Zázrivá. The owner Metod Macek guided us through the station, showed us his patients and told us theirs stories. We watched a short video about his work and than farewell and depart. 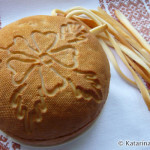 We bought some of the traditional home made fine sheep cheese products (bryndza, žinčica, korbáčiky) for which this area is very famous and set off home. We have made a short stop in Vrátna dolina valley to look for Golden Eagles and Peregrine Falcons, but the cloudy and cold weather was not good for observing them. We saw at least one Dipper on the brook coming out of the valley. During our third day, we have observed 65 species of birds. Although the weather forecast was not perfect for our three days at Orava, we fortunately missed most of the rains and thunderstorms and had quite a nice time (but with lower temperatures especially during our last day). Despite the woodpeckers avoid us, we have seen many nice and interesting bird species what made our trip a very nice experience. 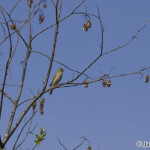 During these three days we have altogether recorded 113 bird species.